When worn on your wrist, Tenex® ESA absorbs 70% of harmful vibrations according to testing conducted at the Massachusetts Institute of Technology and at the University of British Columbia. Use Tenex® ESA to protect yourself from tennis elbow, golfers elbow, carpal tunnel, muscle stress and fatigue! How does Tenex® Elbow Shock Absorber (ESA) work? Upon sudden impact or during repetitive action, harmful vibrations travel up the arm where they can cause damage. When worn on the wrist, Tenex® ESA absorbs these vibrations BEFORE they have a chance to reach the soft tissues of your wrist and elbow. A specially formulated liquid metal sealed inside the product, produces a counterwave action that effectively neutralizes vibrations whenever your arm receives a shock. Our results say that Tenex® Elbow Shock Absorber dampens vibrations better than anything we’ve ever seen. There is no equal to Tenex® ESA. 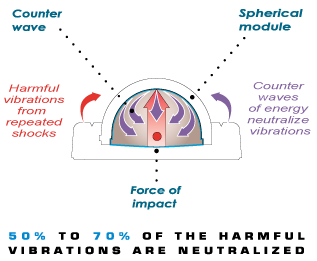 Shown to reduce vibrations by 50-70 percent, it is clearly superior to the competition. Commercially available products such as braces, straps, bulky supports and racket vibration dampeners can at best claim a 5-10 percent reduction in vibration. No competitors guarantee proof of performance – Tenex® ESA backs its claims with extensive technical and medical reports and a full one-year performance guarantee. In addition to amateur and professional tennis players and golfers, Tenex® ESA is used by baseball players to reduce trauma to their arms, in pistol practice by shooters, by carpenters, gardeners, keyboarders and mountain bikers. In fact, anyone who needs to protect their arm from repetitive stress. By wearing Tenex® ESA, participants can increase their endurance in competition AND increase their power by enjoying pain free play. The results obtained in all tests are consistent with previous studies on the effectiveness of Tenex® Shock Absorber. In the test study, we witnessed that 90% of the subjects showed significant reduction in the intensity of pain and an increase in flexibility and freedom of movement. We conclude that Tenex® Shock Absorber is effective in the reduction of symptoms of Carpal Tunnel Syndrome. This is a real scientific breakthrough in the treatment of Carpal Tunnel Syndrome and of Repetitive Motion Disorder. The principle function of Tenex® ESA is to reduce the harmful vibrations that cause your elbow pain. However, studies have verified that pain reduction is directly correlated with an increase in power. So wearing Tenex® ESA actually does improve your game by allowing you to play both harder and longer. In all muscle-associated testing*, wearing the Tenex® Elbow Shock Absorber resulted in a significant increase in muscle strength and aided subjects in achieving their goal of pain-free racquet sports while playing a much stronger game. *Medical Study testing of Tenex ESA on 40 players for 30 days. Tenex® ESA is worn on the wrist like a watch just above the wrist bone. It should feel snug but comfortable on your wrist. Do not over tighten. The Velcro strap can be adjusted at both ends. If you have small wrists and still need to shorten it, you may cut off part of the hook ends to further adjust the strap to your wrist size. If you are experiencing pain in both arms, you may wear Tenex® ESA on each wrist. We recommend that you first wear Tenex® ESA all day until you feel a clear improvement. Then wear as needed during work or play. It may take a few days to notice the healing effect of wearing Tenex® ESA. At first, it will prevent further damage to the inflamed tissues while the natural healing process is underway. Once pain disappears, wearing Tenex® ESA will prevent a recurrence. The effectiveness of Tenex® ESA has been verified in five separate studies conducted by independent researchers. Engineering studies conducted at the Massachusetts Institute of Technology, and at HAKO Research Laboratories, concluded that Tenex® ESA reduces migratory vibrations by 50-70 percent. Clinical testing found a measurable improvement in players’ strength and power attributable to a reduction in inhibition caused by pain. Trial tests of Tenex® ESA on subjects suffering from tennis elbow revealed a dramatic improvement in their condition, and in some cases, complete elimination of the symptoms. Our results say that Tenex® Elbow Shock Absorber dampens vibrations better than anything we've ever seen. Tenex® Elbow Shock Absorber has been clinically proven to eliminate the damaging shock waves and vibrations that cause fatigue, muscle stress and joint injuries. Studies and trial tests placed Tenex® ESA ahead of its competitors with 50-70% of the vibrations eliminated before they reach the elbow"
Bio-mechanical Department Director of Research for Alternative Energy Ltd.
- Research Department of Nomadic Silviculture Ltd. ...The results obtained in all tests are consistent with previous studies on the effectiveness of Tenex® ElbowShock Absorber. In the test study, we witnessed that subjects showed significant reduction in the intensity of pain and an increase in flexibility and freedom of movement. We conclude that Tenex® Shock Absorber is effective in the reduction of symptoms of Carpal Tunnel Syndrome and tennis-elbow. "This is a real scientific breakthrough "
In all muscle-associated testing, wearing Tenex® Elbow Shock Absorber resulted in a significant increase in muscle strength and aided subjects in achieving their goal of pain-free racquet sports. ... Pain, in most cases, was eliminated, a sure sign that healing took place. Tenex® Elbow Shock Absorber is a promising new concept in tennis elbow orthotics. Tenex® ESA uses a UV-treated polycarbonate casing designed to withstand the sun’s rays. It is hermetically sealed so use in water is not a problem. Avoid bringing Tenex® ESA into contact with diesel fuel as it will chemically react with the polycarbonate casing. We recommend removing the strap and washing it in mild detergent as necessary. The Tenex® ESA casing can simply be wiped off with a damp sponge. The properties that make Tenex® ESA effective do not diminish over time. However, the strap will eventually wear out and may be purchased separately. For 20 years, Tenex USA has recycled mercury from discarded mercury switches and light bulbs for use in its unique shock absorbing formula. As an added incentive to recycling, we now offer a $5.00 credit towards your next purchase of Tenex if you return a discarded TenexÂ® ESA to us for recycling. Contact us to obtain a Return Number with shipping instructions at info@tenexonline.com or call us at (305) 517 7282. No. It weighs 1.25 ounces or 36 grams in total. So it is no heavier than an average watch. Tenex® ESA is available online at our website. If you have a local store that you wish to have stock Tenex® ESA, please let us know and we will do our best to encourage them to carry Tenex® ESA. Research shows that now fully 50% of tennis players and golfers suffer from tennis elbow. After 4 consecutive weeks of testing, respondents were asked to rate Tenex® Elbow Shock Absorber against the competition: air braces, creams, bands & wraps, braces, gel, hot and cold packs, magnetic products, medical patches, neoprene sleeves. Pain Relief - Tenex® ESA users reported significantly reduced and, in most cases, complete elimination of pain when wearing Tenex® Shock Absorber. Comfort - Unlike bulky braces and supports, Tenex® Elbow Shock Absorber's ergonomic and sleek design makes it a pleasure to wear. Its compact form, about the size of a watch, is carried effortlessly on the wrist and causes no interference with either work or play. Muscle Fatigue - The reduction in pain allowed users to work/play longer with greater strength of force. Durability - Tenex® users found it to be tough and resistant to abuse. Appearance - Lightweight strap with a Velcro® fastener adjusts easily to fit anyone's wrist. Price - At $35.00 including shipping & handling, Tenex® Elbow Shock Absorber compares favourably with other available options. Warranty - An unconditional one-year warranty is far ahead of industry standards. Customer Satisfaction - Compared to the competition - there is no competition. Tenex® ESA outperformed all competitive products by a huge margin. Users unreservedly endorsed Tenex® ESA which was able to "cure" their conditions in a matter of days. Some users reported that chronic conditions which had bothered them for years were completely gone. Tenex®ESA comes with a full one-year warranty. If after 30 days of using our product, you are not completely satisfied with its performance, you may return it to us for a full refund. If any breakage occurs, it will be immediately replaced. Please contact us at info@tennis-elbow.com to receive return protocol with shipping address. How effective is Tenex® Elbow Shock Absorber? Who can benefit from wearing Tenex® ESA? Will wearing Tenex® ESA improve my game? 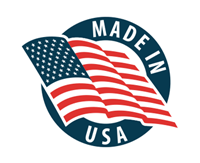 How is Tenex® ESA worn? Do doctors recommend using Tenex® ESA? Is there research to support the effectiveness of Tenex® ESA? Will Tenex® ESA stand up to extremes in weather conditions? Can Tenex® ESA be washed? How often should I replace Tenex® ESA? Can Tenex® ESA be recycled? Where can I buy Tenex®? 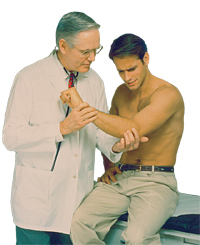 What percentage of players will experience tennis or golfers elbow? How do customers rate Tenex® ESA?